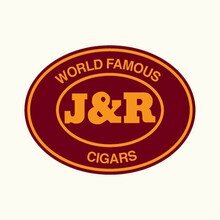 J&R Famous Plazas cigars, one of our all-time bestselling brands for close to 40-years, are made using leftover Dominican and Honduran filler tobaccos from some of the finest handmade premium cigars ever produced! The cigars are finished with a rare, bright green Candela, all tobacco, Honduran wrapper. The result is an exceptionally smooth, mellow to medium bodied smoke that’s brimming with inviting flavors of cocoa, dried fruit, leather, and marshmallow. Order an affordable box of 50, and experience what we consider to be, the “Bentley” of machine-made cigars. A mild smoke with a good taste. Draw and burn are adequate. One of the best values on the market. Great short smoke and great flavorful smoke. Only thing I could be critical about is they seem to be rolled a tad tight. If they could loosen them up a smidgen they could get that last star...........................Still my favorite and one of the best machined rolled in the business!!! These are a very good cigar, and value, for the money. The only drawback I have are w/the wrapper. The "band" for tearing the wrapper open is short so you don't get a complete opening. A Swiss Army knife comes in very handy for smoking these cigars...both in opening and poking a hole in the end. If you don't have a SA knife, a toothpick will work. I tried snipping the end off the wrapper and sliding , but that resulted in pulling the band and tearing the cigar. Only one tossed so far. I normally smoke a pipe and taste is subjective, but these are a fairly good cheap cigar. A great cigar for the price an everyday smoke for me. One of the last great values still around. Nice cigar and affordable. Mild and consistant.